Bill sits down with the CEO of Envision Utah, Robert Grow, who are looking for 50,000 people to help shape Utah’s future. The discussion takes places over French Fries and Sweet Potato Fries at 50 West Café. 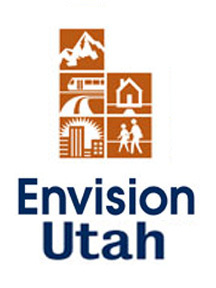 Envision Utah brings people together to identify and solve problems relevant to people in Utah by asking the public what they want and making fact-based projections. Bill, I’ve been a long time listener of the x96 show and when I couldn’t continue to listen to that morning show due to work I picked up listening to this show. I’ve enjoyed your Lets Go Eat Show very much even. I’m not always interested in the person your interviewing, however by the end of the podcast I have usually got something of value that I wasn’t expecting. I’ve never been compelled to find this web page and post a comment until this show. Over the past several years I’ve heard much to do about air quality and pollution and have come to a staggering realization about that topic. I’d like to share this with you and hopefully it will get some further investigation on your end. I am excited to think of the possibility of this to be talked about by people such as yourself who carry a lot of weight when it comes to your weight in terms of scope of listeners and your community contacts. There seems to be NO mention of pollution when it comes to airplanes or what impact the expansion of the airport in our valley will have. If there has been, I’ve not heard it, nor anyone in my circle has. If you look into the emissions that commercial airliners put out it is STAGGERING. Just one round trip flight from coast to coast is equivalent to 20 cars emissions for an entire year. Normally an airport and its expansion is a good thing. Problem being in our valley the expansion is for a hub. I think you know what the definition of a hub is. These people aren’t staying here, they aren’t spending their money here. They are making a connecting flight. How about cars and their emissions. I thought that cars put out more emissions the faster the speed, so why the elevated speed limit? I’m also curious as to when its time to make changes is it that the law makers and people in power like big wigs at influential companies that seem to want the brunt of the changes to be burdening only the average person. Average people don’t fly much, they don’t take many vacations, and they don’t live above the muck so they don’t have a visual reminder of what may look like unhealthy air when they come to work in the mornings. A realistic situation would be when its a yellow or red burn day the airlines would divert their air traffic to another hub. It would be nice to live in that kind of a valley. Instead the people that are barely getting by are asked to not burn wood to heat their houses or to not drive. Most of us don’t have the luxury or the feasibility to buy a hybrid car and/or take public transit to work. Would be great to have someone stand up and say what about the airport?